Additionally, all data shared on IHP-WINS benefit from metadata in a standardized format, allowing for an accurate identification and crediting of any elements, and easy later sharing. Plus, a DOI (Digital Object Identifier) is attributed to layers, maps, documents in order to provide a stable base for referencing data and to reference track the electronic resources published on IHP-WINS. Unless otherwise specified by the contributors, all information is shared in an open-access manner, thus made available for free download. IHP-WINS also aims at encouraging inter-disciplinary collaboration and knowledge sharing among water-related stakeholders. Contributors are encouraged to gather in working groups, in order to facilitate exchange and give feedbacks on their current work, as well as reinforced professional networking and mentoring among water-related stakeholders. IHP’s Water Information Network System has partnered with various organizations that share their data. 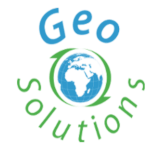 Development, installation and configuration professional services have been provided by GeoSolutions.